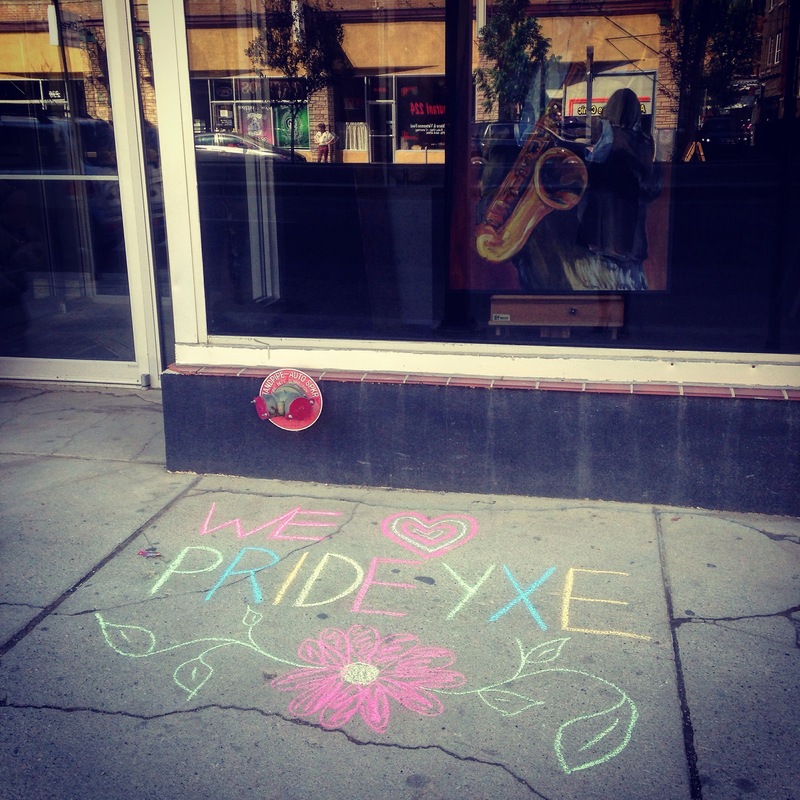 Friday, June 12 begins the weekend for those to celebrate the Pride Festival in Saskatoon. Whether you’re gay, straight, bi-sexual, transgender, or anything else that you feel best describes your sexuality, I’m a strong believer in Love. Loving everyone for exactly who they are. We have had the pleasure of meeting many amazing people through our nine year journey at the gallery, some of which turned into great friends. One of which was Stuart. He was a guy from Manchester that had previously lived in Taiwan for nine years of his life teaching English as a second language, and came to Canada with his partner at the time. He was looking for work in between having a small independent business operated out of his apartment, That Pie Guy. The guy makes a mean pumpkin and cherry pie, but his quiches?? Delish. It didn’t take much for us to give him a big hug, and big ol’ “yes” to working alongside us at the Rouge Gallery. What once may have started out as helping a good guy looking for some extra work, soon turned into working with a new best pal. As Stuart and I continued to work together, we found ourselves continuously gabbing about our lives, and soon grew quite close. I loved that we were able to be so completely transparent with one another, and always shared life stories without judgement – a relationship I hadn’t experienced with many of my female friends at the time. I loved him for exactly how he was. Gay, and all. My family has always been incredibly opened minded, Liberal in fact, which I couldn’t be more thankful for. My mother has always had the kindest heart for all walks of life, and growing up with that mentality bestowed upon us kids has made us all just as loving to anyone and everyone. Just as they all deserve. So, although it may be a small contribution, Rouge Gallery wanted to show it’s appreciation for the Pride Festival this year. Cheers to all the supporters.